An elegant villa, surrounded by beautiful nature, an apartment with sea views - Buying a property on the north coast of Mallorca is a dream of many. Our estate agents from Engel & Völkers Mallorca Nord put it into action for you in Playa de Muro, Can Picafort or Son Serra de Marina. Our real estate agents know the best locations and sell quality villas and apartments - whether as a second home or year round - for sale. In our portfolio you can get a first impression of the first-class real estate that Engel & Völkers offers for sale in Can Picafort, Son Serra de Marina and Playa de Muro. The 6 km long beach of Playa de Muro with fine, white sand is considered one of the most beautiful in the north of Mallorca. The entire coastline of the beach remains flat for a long time until it falls into the deeper waters, which increases the safety of young children. This is especially appreciated by families with small children who are looking to buy a villa or apartment. In Can Picafort, nature lovers will encounter a unique natural oasis: the nature reserve S'Albufera, which extends to the beach, is one of the region's highlights and home to a unique flora and fauna. In addition, the nature park is a special paradise for birdwatchers and also ideal for hiking and cycling. A recommendation from our estate agents Engel & Völkers: If you are looking for peace in the choice of location for your new villa or your new apartment, you should be interested in the small fishing village of Son Serra de Marina. Real estate sellers benefit from the attractively secluded location of their villas here. The coastal town is not a tourist destination, which is why it can offer homeowners one of the most pristine beaches in Mallorca, as well as properties with sea views. Small restaurants allow for cozy evenings with a special atmosphere and the supermarkets can meet your everyday grocery and household needs. A tip from our real estate agents Engel & Völkers on site: The varied range of water sports in Playa de Muro, Can Picafort and Son Serra de Marina increases the recreational value of this real estate location. In addition to stand up paddling, diving, snorkeling and surfing, canoeing and paragliding are also offered. The north of Mallorca is characterized by its charming landscape: breathtaking beaches with the Tramuntana mountain range in the background, impressive nature reserves and charming coastal villages inspire property seekers. The relaxed Mallorcan atmosphere and the modern infrastructure make Playa de Muro, Can Picafort and Son Serra de Marina an ideal location for the purchase of a villa or apartment. 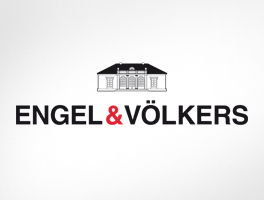 The transport network is also very well developed according to our estate agents Engel & Völkers Mallorca Nord. You can reach Palma and Sant Joan Airport by car within 45 minutes from your new villa or apartment. The Port d'Alcúdia also allows to take the sea route to Barcelona. Buying a villa or apartment in Playa de Muro, Can Picafort or Son Serra de Marina is not only an excellent choice as a real estate location, but an investment for the future. The properties that our real estate agents sell here include first and second line apartments and villas, in modern or traditional style, with terraces, small gardens and a pool. Benefit from our know-how and the international Engel & Völkers network, which gives our real estate agents access to the most beautiful properties on the north coast of Mallorca. Let us convince you of the expertise of our real estate agents during a personal consultation. Our Engel & Völkers residential real estate shops, where we advise you in detail and guide you in the purchase and sale of a villa or apartment in Playa de Muro, Can Picafort and Son Serra de Marina, can be found in Pollensa, Puerto Pollensa and Puerto Alcúdia. The north of Mallorca has even more special residential areas to offer. Feel free to inform yourself about the advantages of Pollensa, Alcúdia or the inland locations as a potential location for your new property. You would like to spend a vacation or a longer time in the beautiful north of Mallorca? 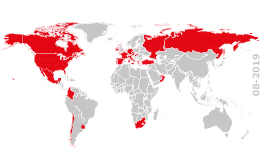 Check out our holiday offers and the real estate that we can offer for long term rental. We are happy to advise you. Contact us.